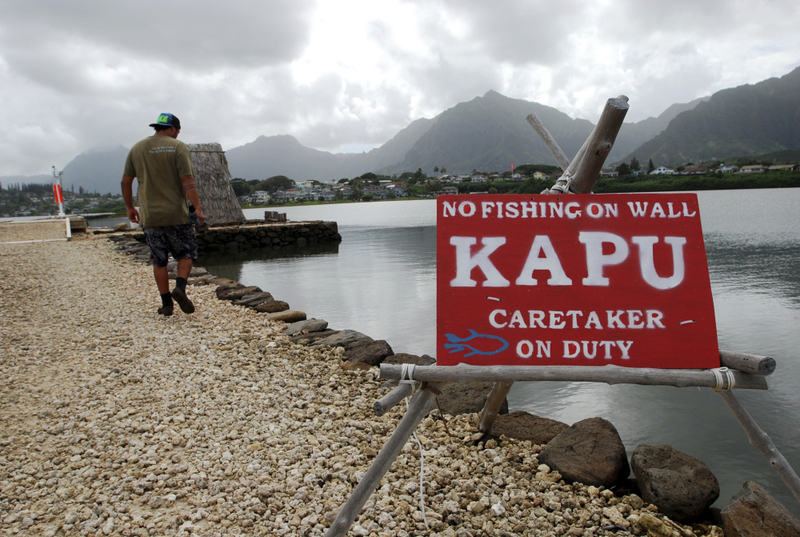 Regulators see promise in Pacific aquaculture, but environmentalists urge caution. HONOLULU — As traditional commercial fishing is threatening fish populations worldwide, U.S. officials are working on a plan to expand fish farming into federal waters around the Pacific Ocean. The government sees the move toward aquaculture as a promising solution to overfishing and feeding a hungry planet. But some environmentalists say the industrial-scale farms could do more harm than good to overall fish stocks and ocean health. 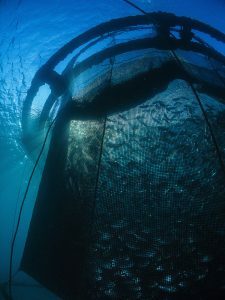 The National Oceanic and Atmospheric Administration is creating a plan to manage commercial fish farms in federal waters, the area of ocean from three to 200 miles offshore, around Hawaii and other Pacific islands. The program is similar to one recently implemented by NOAA in the Gulf of Mexico. The farms in the Gulf and the Pacific would be the only aquaculture operations in U.S. federal waters, though there are smaller operations in state waters close to shore. Fish farming has been practiced for centuries in Hawaii and around the world. But modern aquaculture, some environmentalists say, carries pollution risks and the potential for non-native farmed fish to escape and enter the natural ecosystem. Most shellfish consumed in America comes from farms, and their methods are widely considered sustainable. However, some farms that grow carnivorous fish such as salmon have raised concerns about sustainability because they use wild-caught fish to feed the captive species. There are three ways to farm fish: fully contained land-based systems that pump water in and out with little, if any, environmental impact; near-shore operations incorporating natural and man-made elements; and off-shore farms. 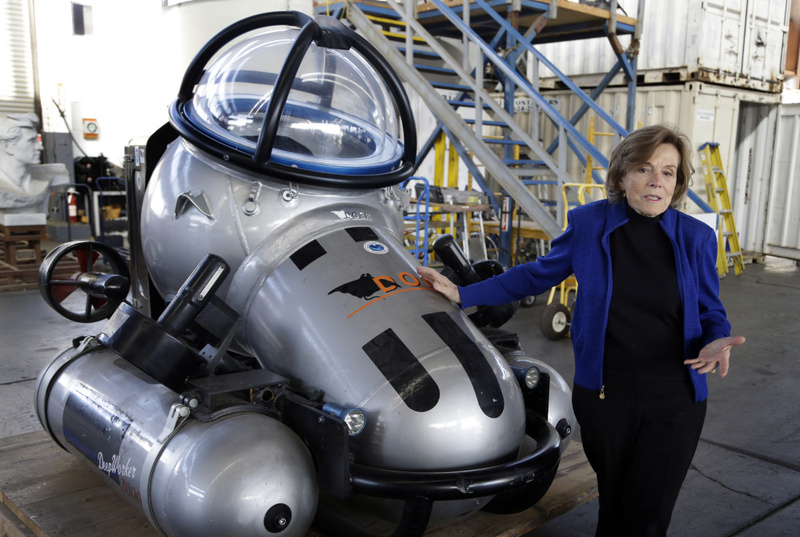 Sylvia Earle, former NOAA chief scientist and the founder of ocean advocacy group Mission Blue, shows off a full-size replica of the Deep Water 2000 submersible at Deep Ocean Exploration and Research Marine in Alameda, Calif., last month. She says aquaculture offers environmentally sustainable and economically viable options. Last year, NOAA and the Scripps Institution of Oceanography put an economic value of $17 billion a year on the ocean off the west coasts of North and South America. That includes $4.3 billion from commercial and sport fishing and $12.9 billion for the capture of carbon. Earle said the ocean is worth more, and no dollar figure can be attached to keeping the ocean, and in turn humans, healthy. “We now have recognition of other values of the ocean beyond what we can extract either for food or for products,” she said. New technologies are being developed for open-ocean aquaculture, and many U.S. companies are sending their crews overseas to farm, according to NOAA officials. “The U.S.’s view is we’d rather have these U.S. companies pursuing these opportunities in a sustainable, environmentally sound way in the U.S.,” said Michael Tosatto, NOAA’s National Marine Fisheries Service regional administrator. The NOAA plan would create a regulatory and permitting scheme for the industry. “It’s reasonably common knowledge that the environmental laws are less where aquaculture occurs the most, (that) being China and other Southeast Asia countries,” Tosatto said. Many foreign operations have U.S. companies supplying the breed stock, then the fish are grown and sold back to the U.S. as imported seafood. U.S.-farmed fish in 2014 was valued at $1.3 billion, Tosatto said, and constitutes 19 percent of the nation’s seafood production. That amounts to only 1 percent of the global farmed product. The Provence Aquaculture production site is shown near Marseille, France, in 2010. New technologies are being developed for open-ocean aquaculture, NOAA officials say. NOAA has been trying to establish an aquaculture industry in federal waters for many years. But attempts to get legislation to implement open-sea aquaculture have failed. “And so (NOAA) moved into the fishery management process … as a means to move forward with ocean aquaculture under the radar of the public,” said Marianne Cufone, executive director of the Recirculating Farms Coalition. NOAA received input from thousands of people during a public comment period last year on its plans. Cufone’s New Orleans-based organization has been developing land-based aquaculture systems that are fully contained. Cufone says these types of farms are more sustainable than ocean aquaculture, and Earle agrees. Meanwhile, NOAA says researchers off Hawaii’s Big Island are studying ways to make open ocean farming safe and efficient. They are studying different techniques and species to better understand problems the industry could face. Native Hawaiians have long practiced sustainable aquaculture. They build walls around shoreline areas, allowing fresh water from the mountains and salt water from the ocean to flow in and out. Fish enter through slotted gates, and can’t get back out. The ponds are monitored to make sure they are healthy, mimicking nature. “Our ancestors, they could … sustainably feed themselves no problem,” said Luka Mossman, a Native Hawaiian who grew up working on a traditional fish pond and is now helping study and restore such ponds with the nonprofit environmental group Conservation International. “You constantly watch how the natural system works, and you adapt to that. You don’t try and adapt the natural system to work for you,” he said.